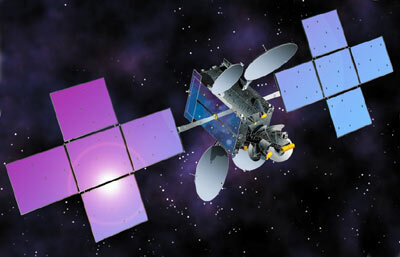 Space Systems/Loral (SS/L) announced in January 2007 that Intelsat Corporation has awarded SS/L a contract to manufacture Intelsat 14 (IS 14), a new, high-power C- and Ku-band fixed satellite service (FSS) satellite. Intelsat 14, to be located at 45 degrees West longitude, will be the 44th Space Systems/Loral satellite built over the past four decades for Intelsat, the world's largest fixed satellite services operator. The satellite will carry 40 C-band and 22 Ku-band transponders across four different beams, covering the Americas, Europe and Africa. Intelsat 14 will have a design life of 15 years and will replace the Intelsat 1R (PAS-1R) satellite when the new satellite is delivered in 2009. Its high efficiency solar arrays and lightweight batteries are designed to provide uninterrupted electrical power. The satellite is based on SS/L's SSL-1300 platform, which features qualified, flight proven subsystems and a long record of reliable operation. The Department of Defense's (DoD) Internet Routing in Space (IRIS) Joint Capability Technology Demonstration Project is an aditional payload on board and represents the next generation of space-based communications. IRIS will serve as a computer processor in the sky, merging communications being received on various frequency bands and transmitting them to multiple users based on data instructions embedded in the uplink. The IRIS architecture allows direct IP routing over satellite, eliminating the need for routing via a ground-based teleport, thereby dramatically increasing the efficiency and flexibility of the satellite communications link. The IRIS payload will support network services for voice, video and data communications, enabling military units or allied forces to communicate with one another using Internet protocol and existing ground equipment. The IRIS payload will interconnect one C-band and two Ku-band coverage areas. The IRIS architecture and design allow for flexible IP packet (layer 3) routing or multicast distribution that can be reconfigured on demand. With the on-board processor routing the up and down communications links, the IRIS payload is expected to enhance satellite performance and reduce signal degradation from atmospheric conditions. The payload will convert to commercial use once testing has been completed.